Thermal protector-Ningbo Haishu Nide International Co., Ltd.
BR-A2D. BW series thermal protectors are used to provide effective and reliable safety protection to motors and prevent motors from damage due to overheating. 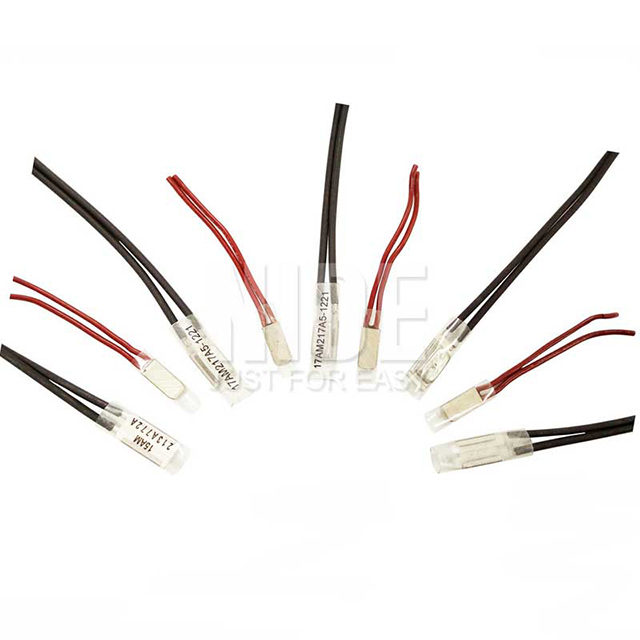 These series thermal protectors are widely applied in the industrial motor under 1.5HP, such as transformers, rectifiers, electro-thermal appliances, etc. Reset temperature: it is 2/3 of standard opening temperature or specified by customers. The tolerance is 15℃. They are applicable for more than 5000 cycles under following condition. The thermal protector can not sustain heavy impact during working. The word side is the temperature sensing surface.